I have butterflies right this second. Because when I say an opening date, then we're opening! I'm scared, excited, nervous, excited, overwhelmed, scared, elated, and excited! But your enthusiasm, support, kind words, and friendship have been the gas in my tank. I feel like I'm in this with about 1000 of my closest friends! So THANK YOU, right off the bat. 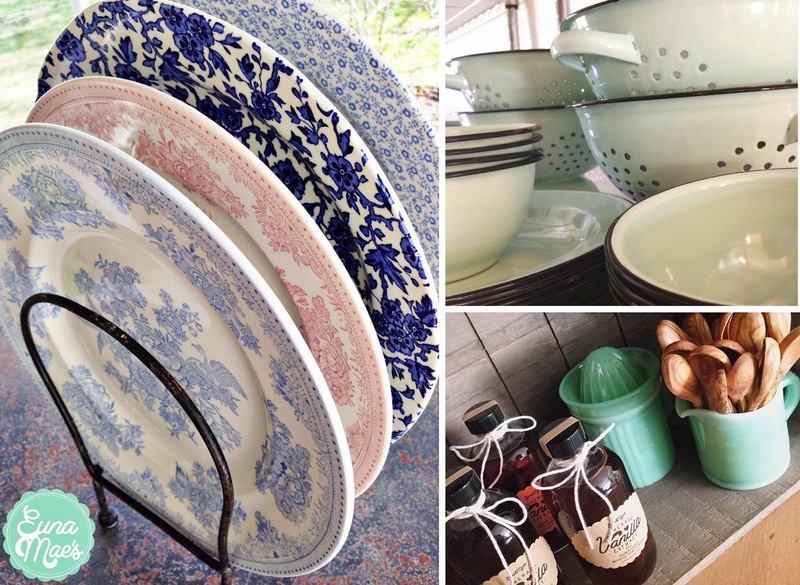 Euna Mae's Heirloom Kitchen and Home Goods will be opening Mother's Day weekend at 1503 Carley Road in Springdale, Arkansas! And we are going to have a big big time! There will be several shopping events - a few private and a few public - over the course of three days! 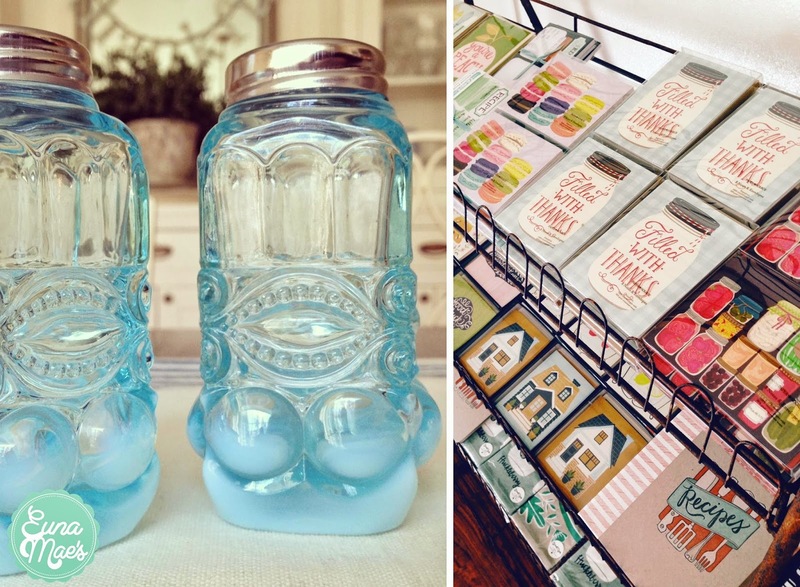 Be one of the first few in the door to shop Euna Mae's selection at its fullest and at its prime on Thursday night, May 8 at this private shopping event! No crowds. Personal shopping assistance. Complimentary dessert and drinks. A premium shopping opportunity benefiting a local non-profit organization serving NWA's hungry. Only 25 tickets are available for this VIP shopping event! Email eunamaes@gmail.com to reserve your place. The first 25 responses will receive an email confirmation in the next 72 hours with VIP event details. Respectfully, adults only please. Because we anticipate large crowds in our little shop over the grand opening weekend, we kindly ask that you be mindful of bringing small children and strollers. There's limited space in our store and lots of pretties that may intrigue small hands! Y'all know I love littles! But the age-old rule rings true...You break it, you buy it! In honor of Mother's Day, this private shopping event is reserved for moms and daughters to shop together for kitchens of their own! 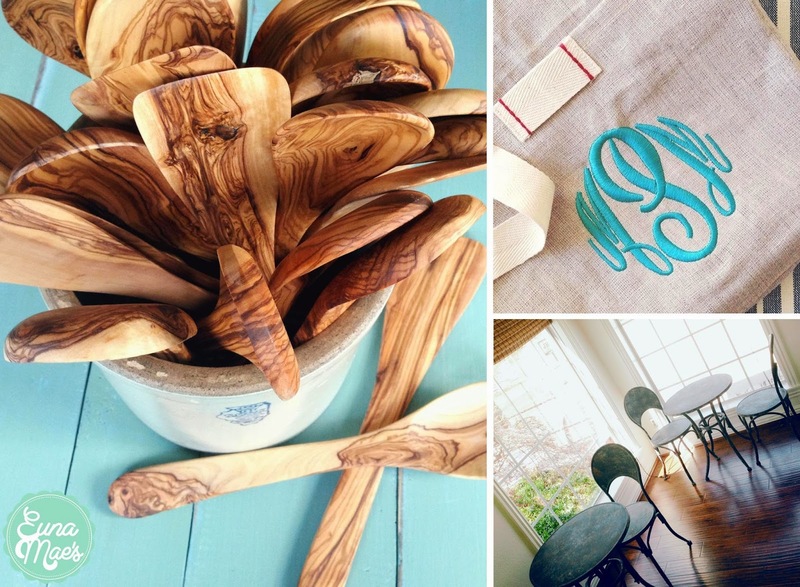 Mothers and daughters who attend will be entered into a drawing for matching, monogrammed heirloom-linen aprons. (Individual apron value $70) Personal shopping assistance. Complimentary dessert and drinks. What a perfect night to do your Mother's Day shopping - with Mom herself! And brides, this is also a wonderful opportunity to shop for your kitchen with your mom's help. Mama knows best! Space is limited to the first 40 people who respond. Please email eunamaes@gmail.com with the mother's name plus the names of each adult daughter attending. Mothers-in-law also qualify. You will receive an email confirmation in the next 72 hours with private event details. Respectfully, this event is intended for mothers with adult daughters. Thank you. Everyone who visits Euna Mae's over the course of the grand opening weekend and completes a contact card will be entered to win a 5.5qt. 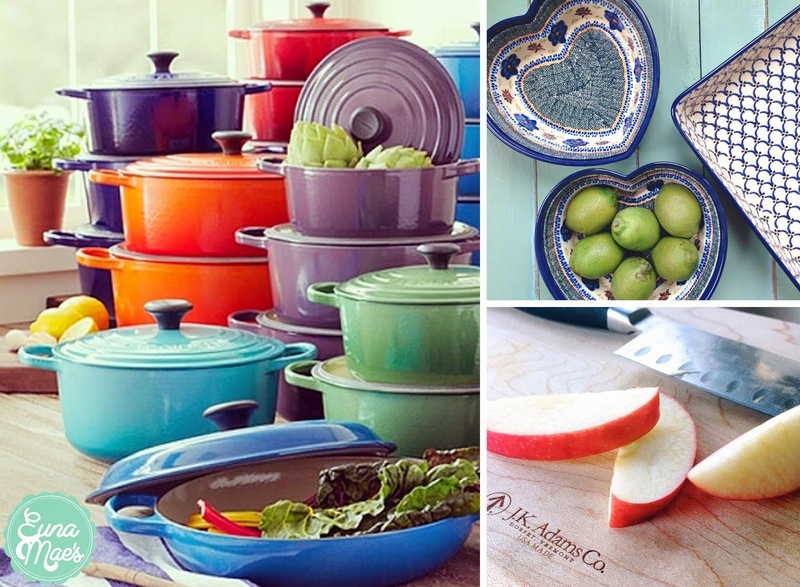 Le Creuset cast iron enamel french oven! A $300 value! 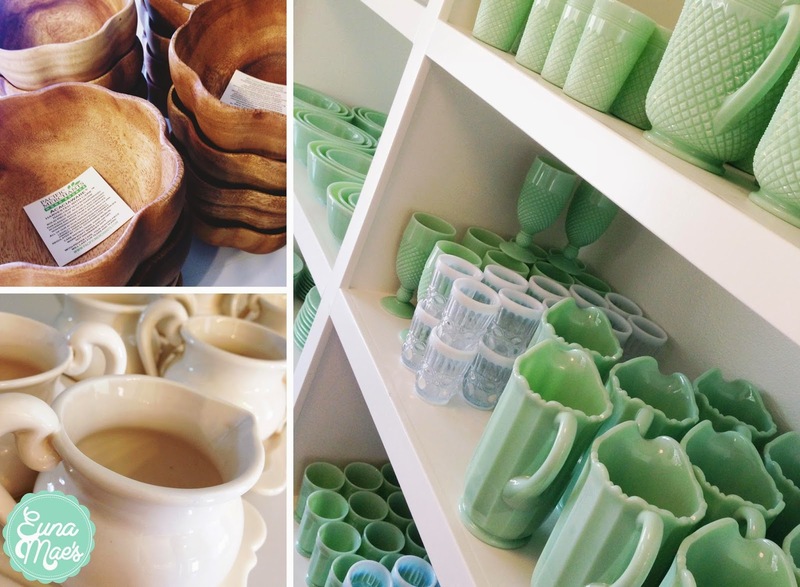 Please pick up your jadeite pitchers at the Euna Mae's store once we're open! Such a dream for me! I can't wait to see you all there! Meet me back here tomorrow with more store information including our regular store hours after the grand opening festivities, a complete list of our products/brands, AND details on how brides can register at Euna Mae's!